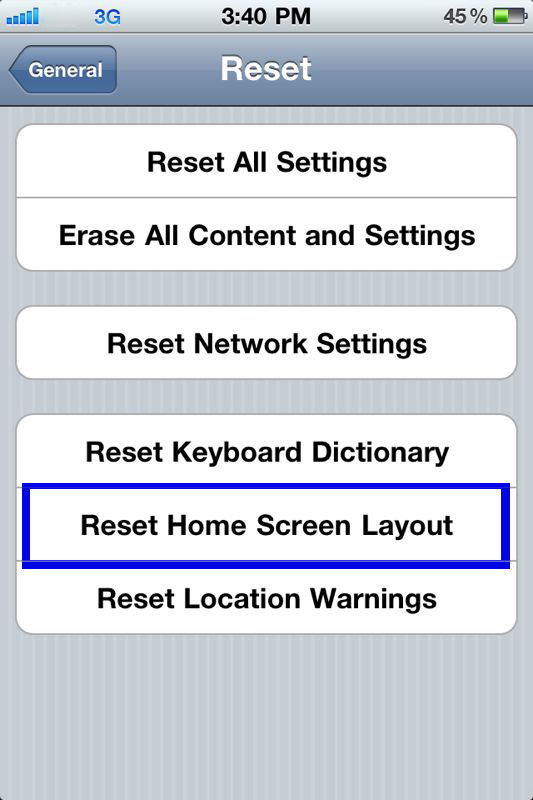 You will see "Reset All Settings" that you can change your iPhone to all factory settings. Choose for "Erase All Content and Settings" that want to delete content data and reset your all settings. "Reset Network Setting" will delete any stored Wi-Fi passwords as well as DNS settings and more. 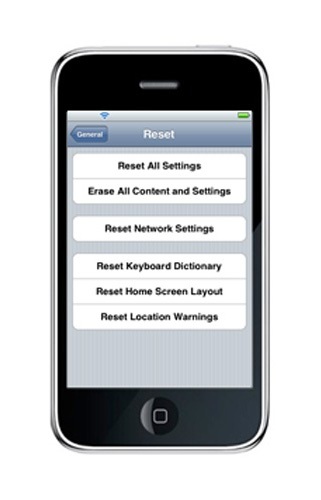 "Reset Keyboard Dictionary" for you've been typing on your iPhone for a long time, odds are that you've made some mistakes in your typing, and the iPhone spell checking software has corrected them. 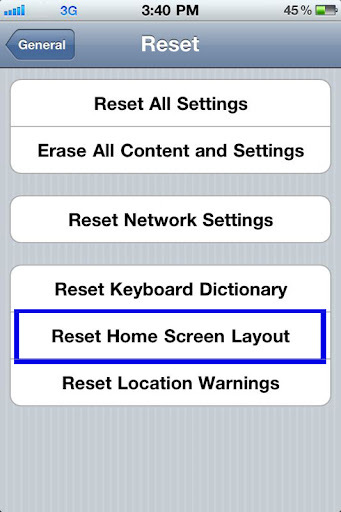 "Reset Home Screen Layout" will have arranged your iPhone icons and wanted to easily bring them back to their first boot placement. "Reset Location Warning" for who want to be able to see that location warning again, here is how you can reset your location warnings.